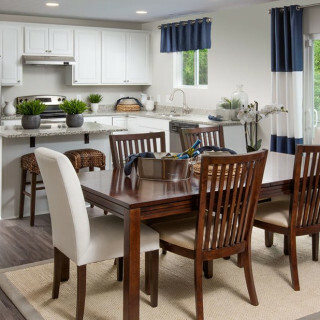 In the Aspire, larger families find the value – and elbow room – they need. 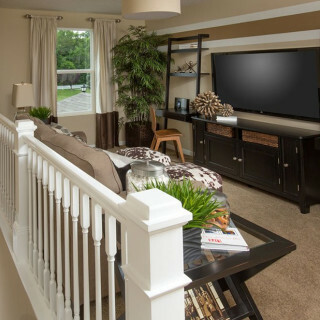 This 2-story layout boasts four bedrooms as well as an upstairs loft for relaxing together. The downstairs lends itself to entertaining, with conversation flowing easily from the kitchen to the café dining area and comfy gathering room. The flex space off the foyer multitasks as a home office or secluded study. 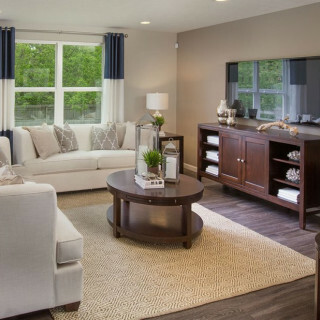 The four bedroom Aspire is known for its family-friendly plan, with wide open common areas. The kitchen features easy-to-clean laminate countertops, birch cabinetry, and a convenient pantry. Enhance your space with an optional sunroom to enjoy even more natural light.